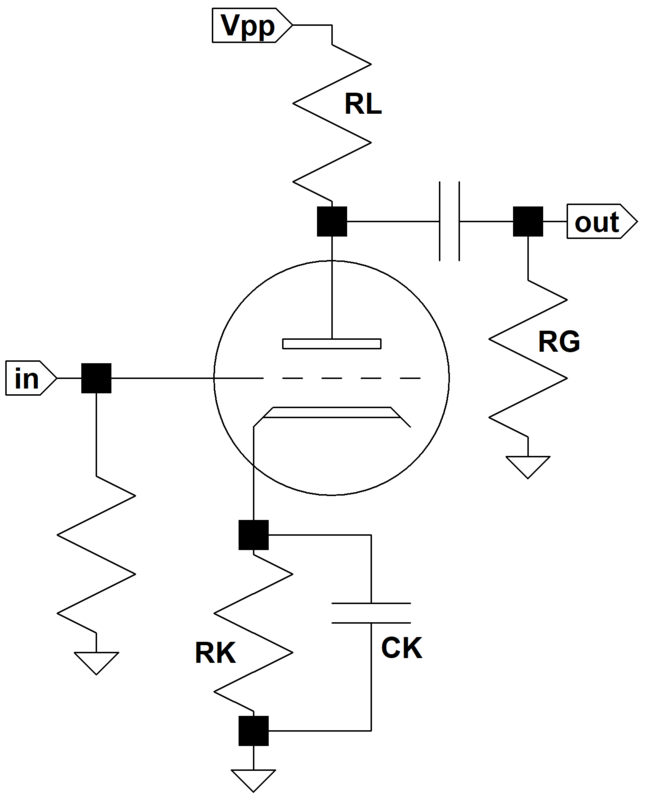 The cathode resistor in a typical triode preamp is bypassed with a large capacitor to eliminate a form of negative feedback known as cathode degeneration. This substantially increases gain. When the capacitor is large enough, it acts as a short circuit for audio frequencies, eliminating the negative feedback, but as an open circuit for DC, thereby maintaining DC grid bias. Treble boost can be introduced by using a lower capacitor value, one that acts as a short circuit for high frequencies but allows negative feedback to attenuate bass. This technique is often used for the preamp's bright channel. The calculator plots gain versus frequency based on the characteristics of the tube, resistor values, and the capacitor value. It does not account for coupling capacitor bass attenuation.